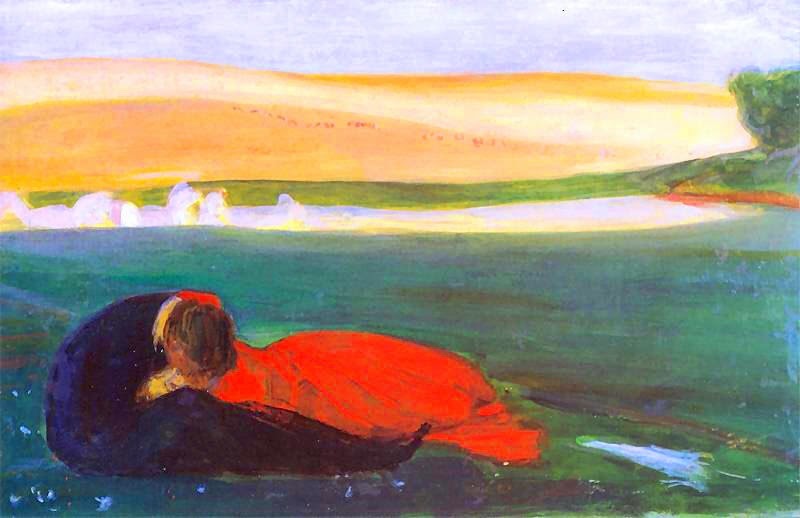 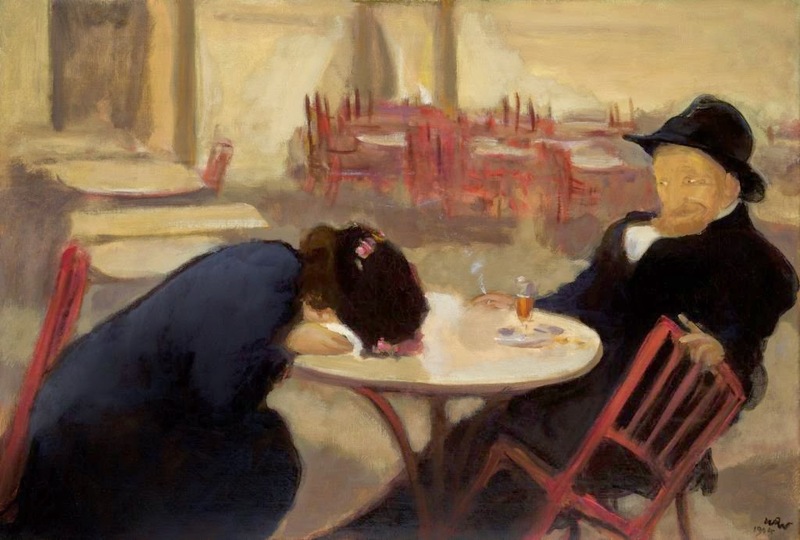 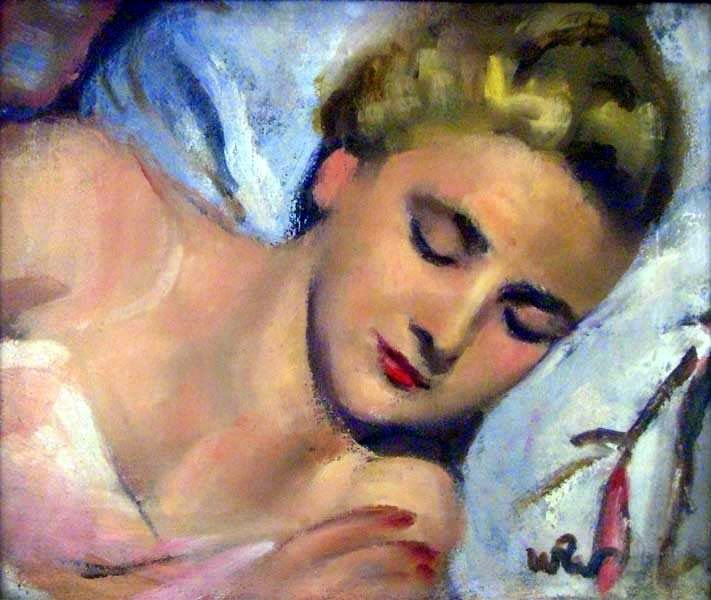 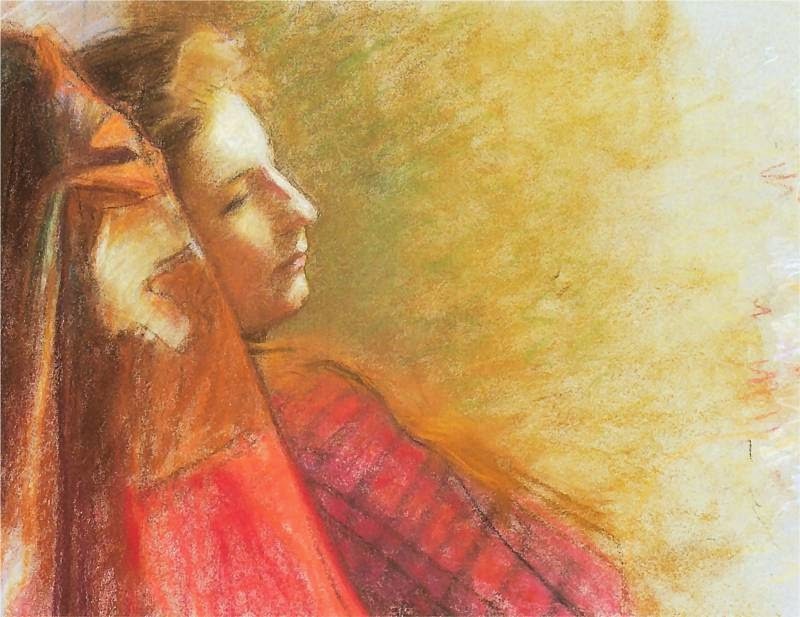 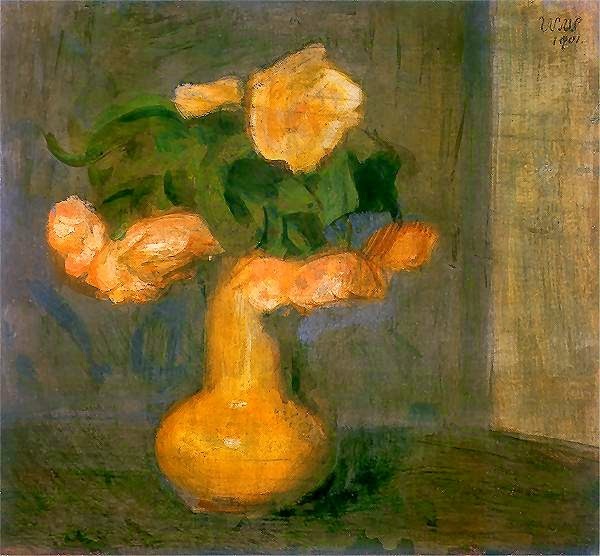 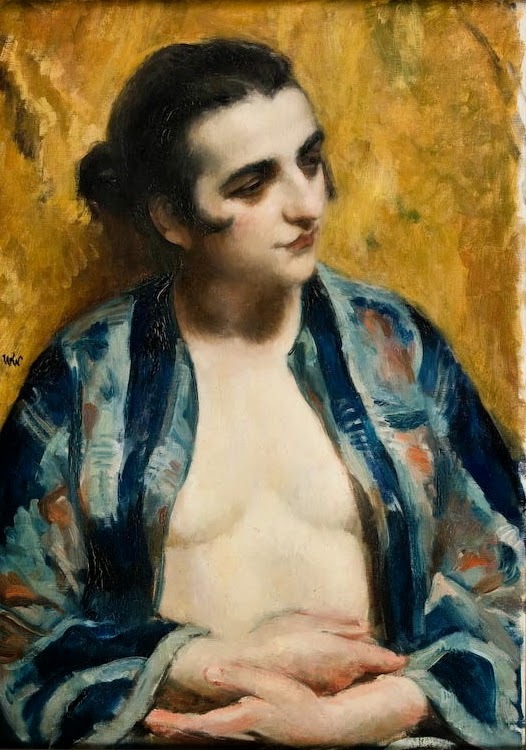 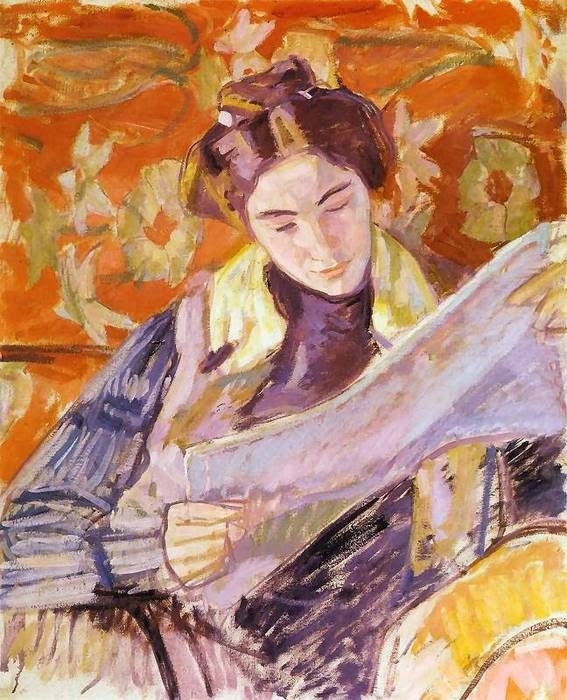 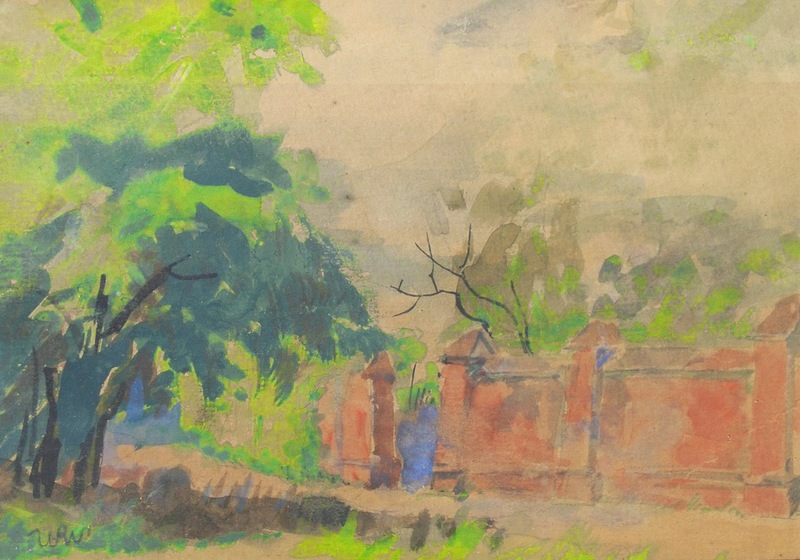 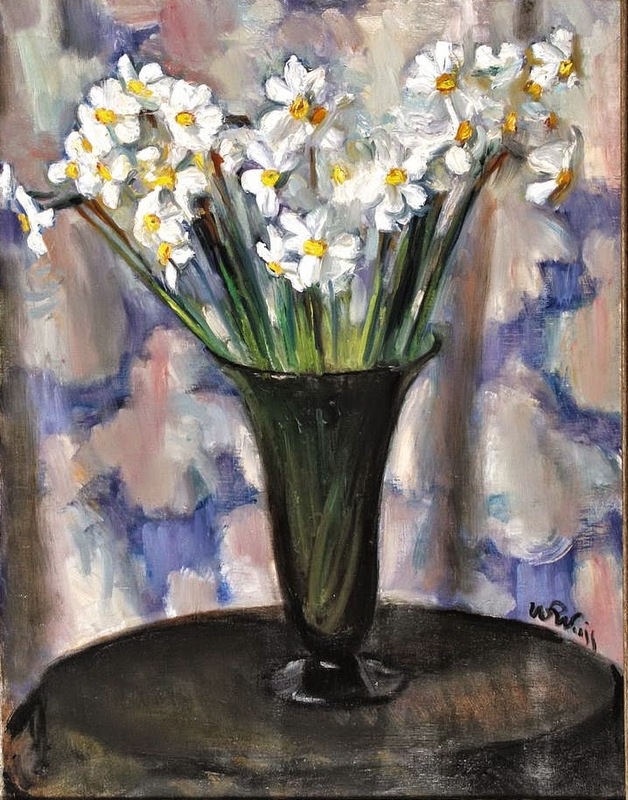 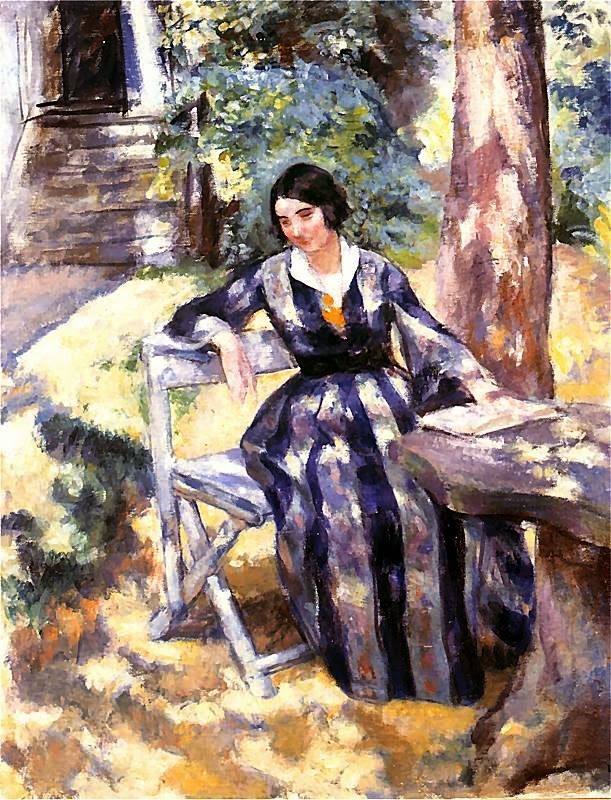 Wojciech Weiss (1875-1950) was an Polish painter, draughtsman and graphic artist, a student, professor and Rector of the Academy of Fine Arts in Cracow, representative of the Expressionist Young Poland art movement and of the Colouristic tendencies of the 1920s and 1930s. 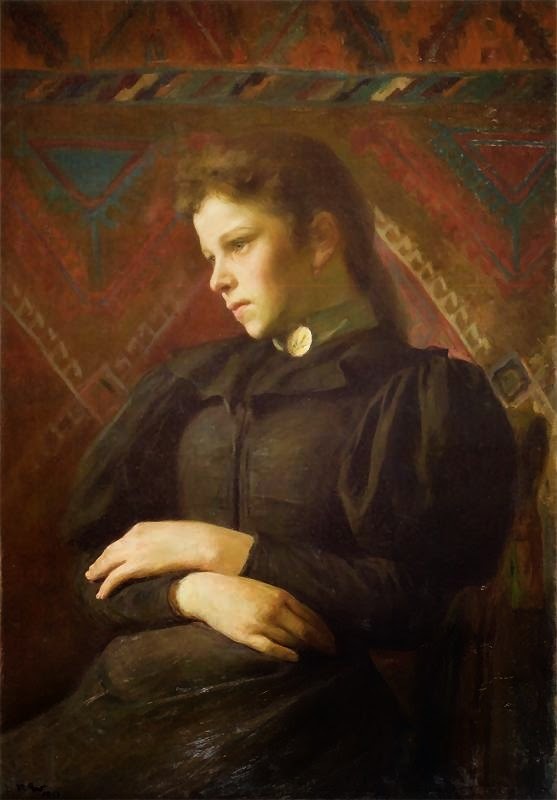 Weiss was born in Bukovina to a Polish family in exile of Stanisław Weiss and Maria Kopaczyńska. 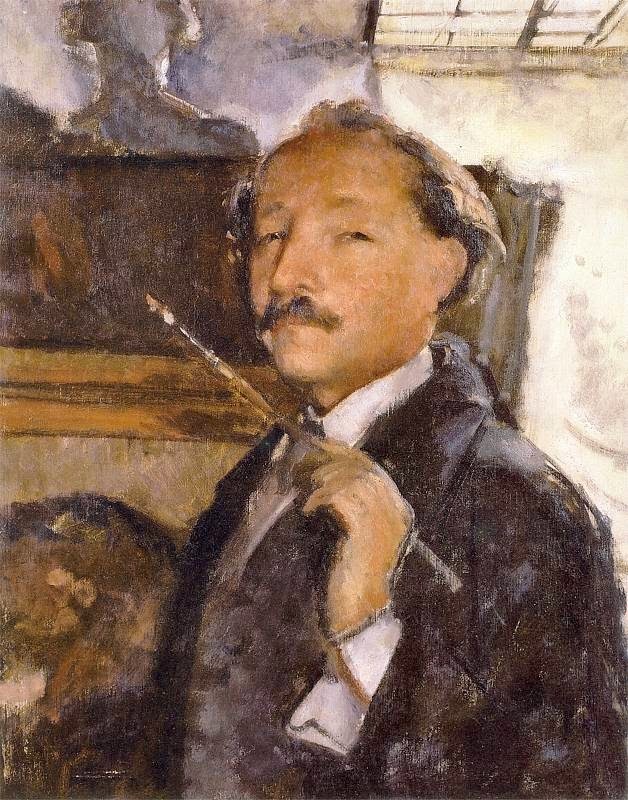 He gave up music training to study art at the Academy of Fine Arts in Kraków under Leon Wyczółkowski. 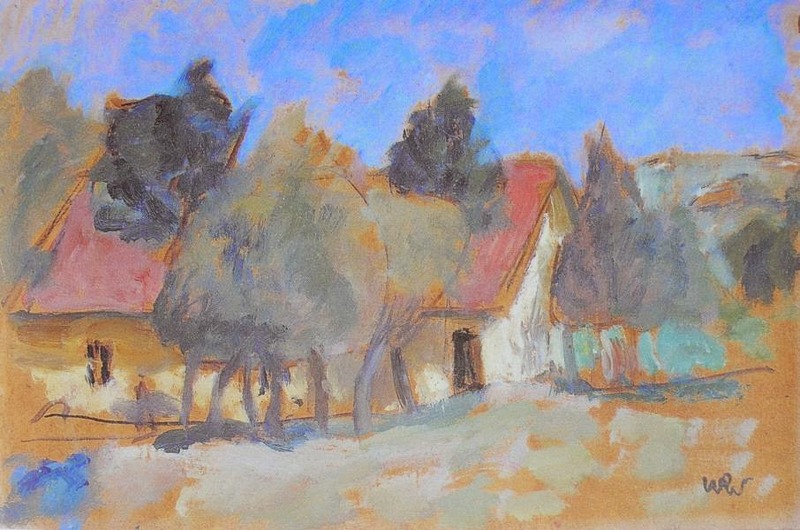 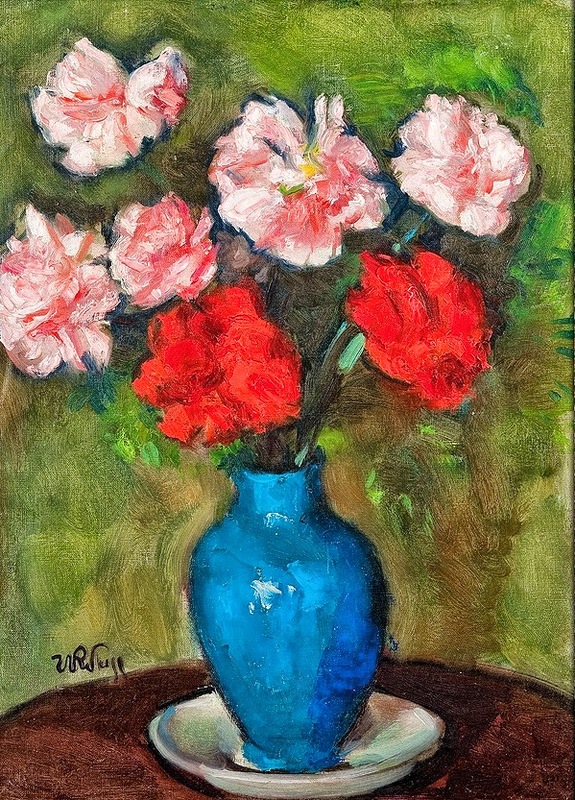 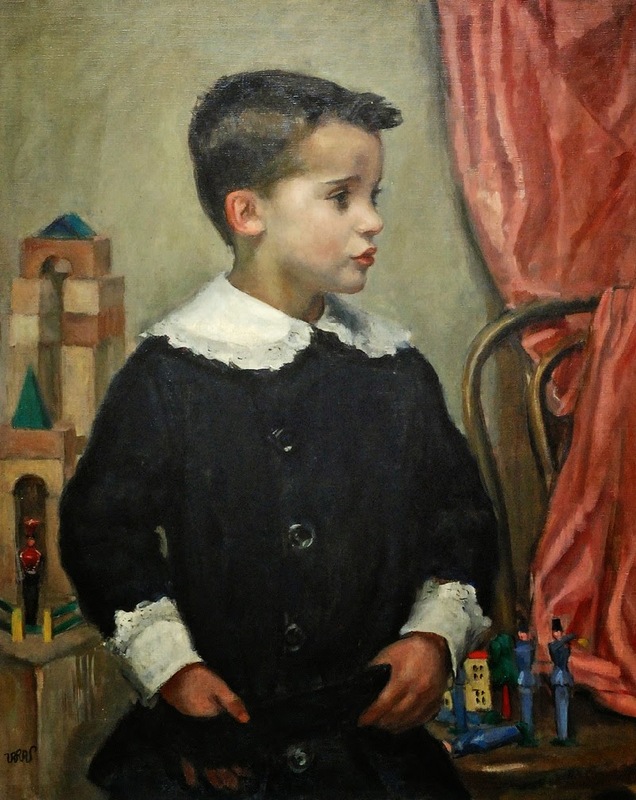 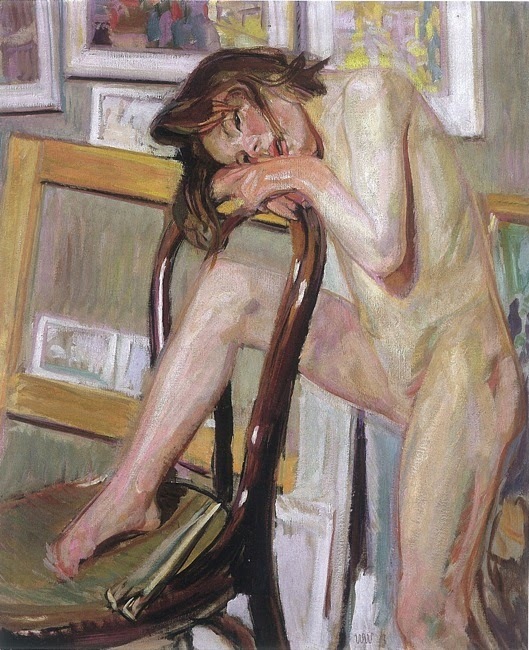 Weiss originally painted historical or mythological paintings, but later switched to Expressionism after being profoundly influenced by Stanisław Przybyszewski. 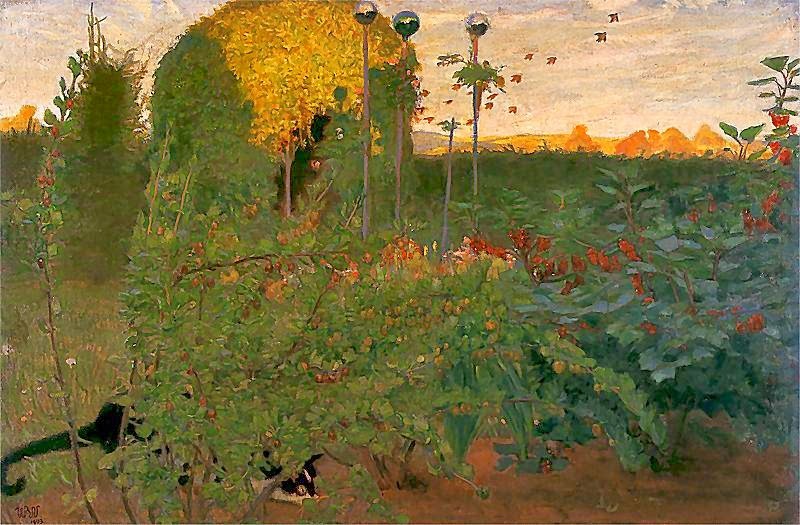 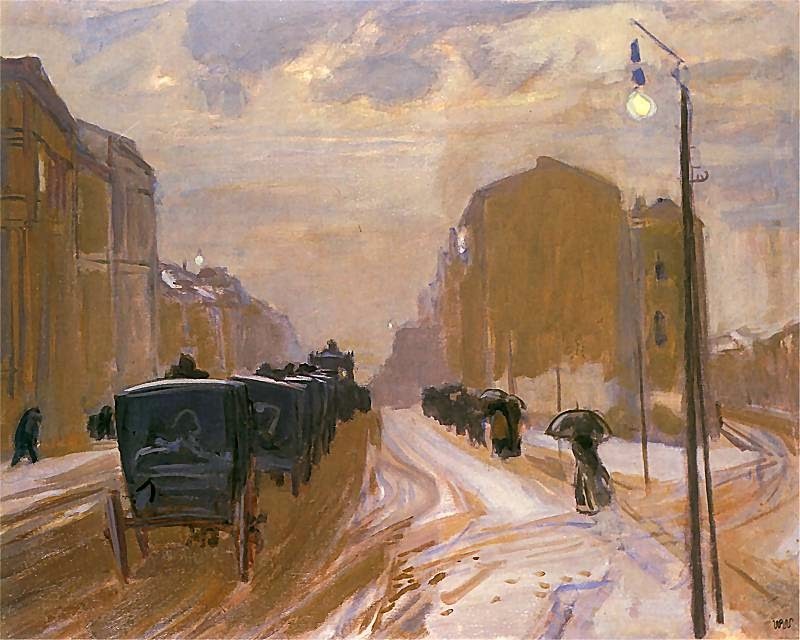 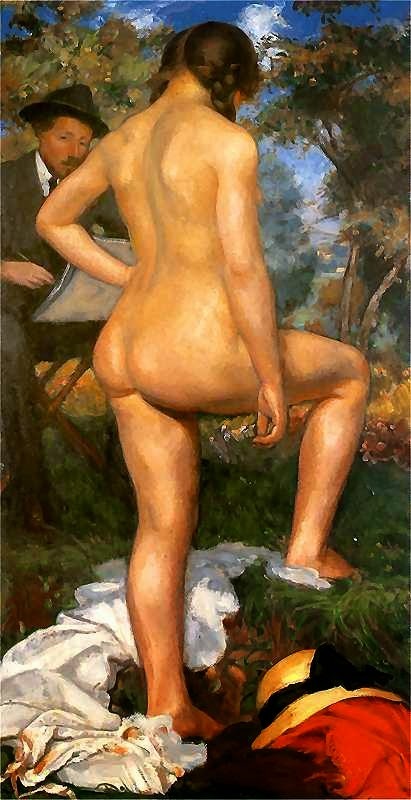 Weiss later became a member of the Vienna Secession. 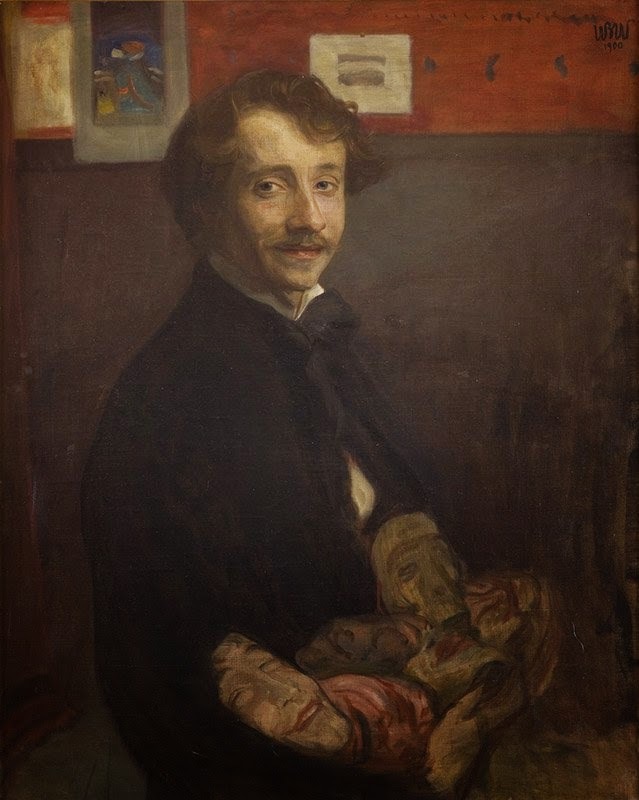 He was one of the first Polish Art Nouveau poster designers. 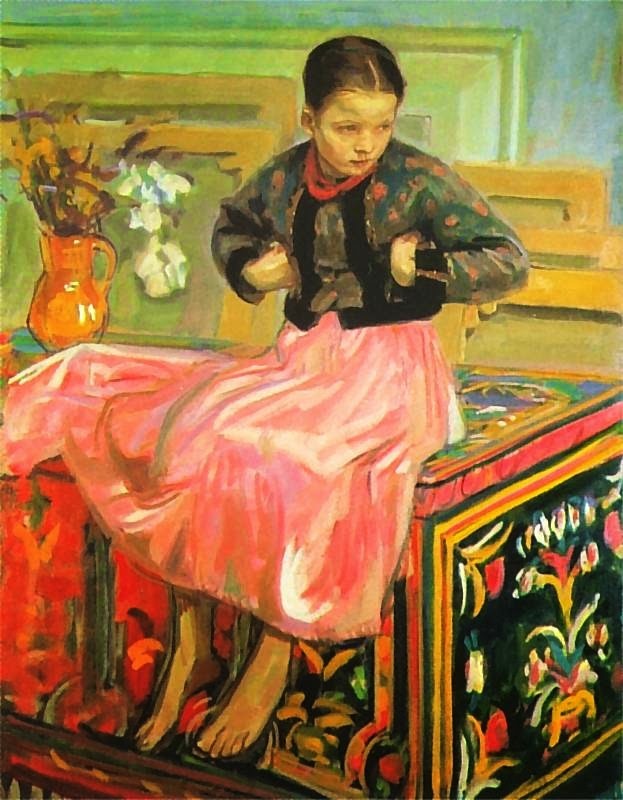 Near the end of his life, he made several significant contributions to paintings of the Socialist realism in Poland. 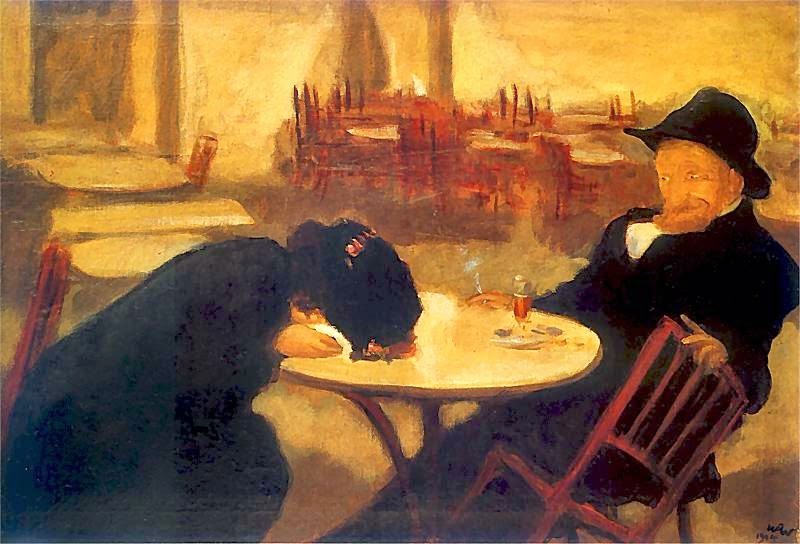 He took additional studies in Paris, Florence and Rome (1899-1902). 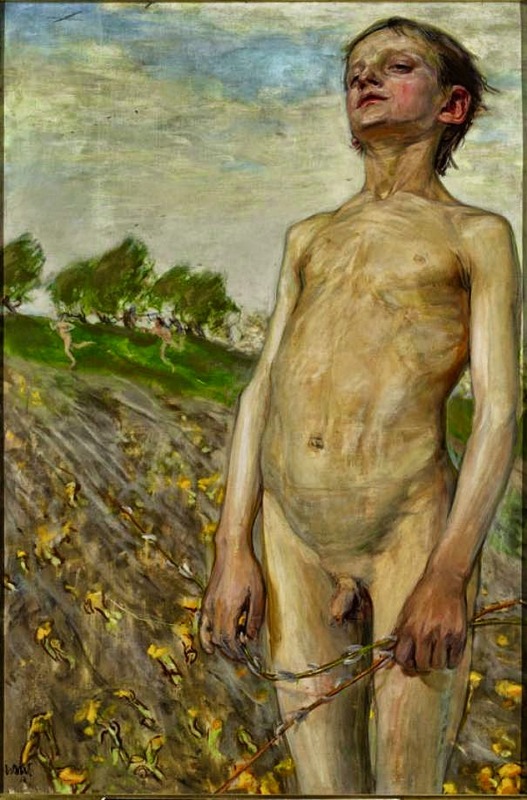 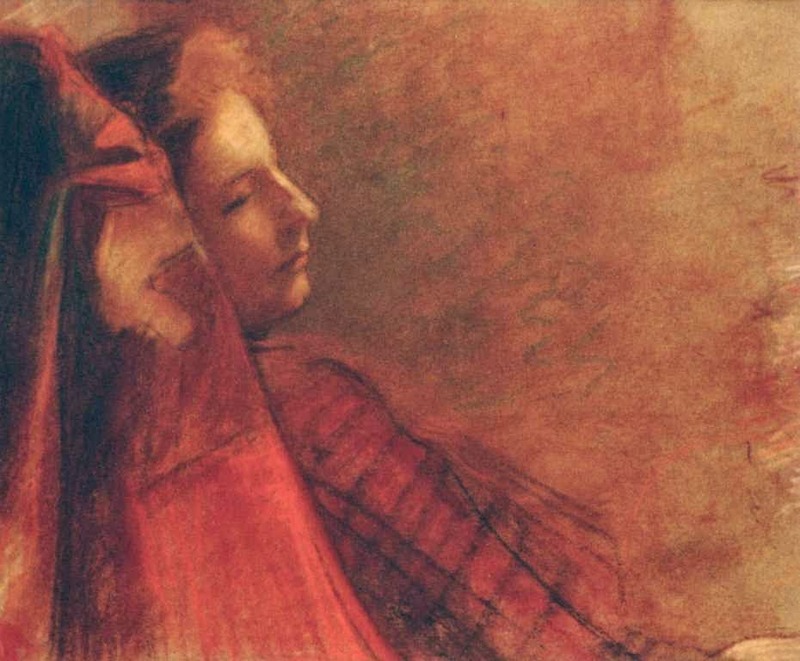 As one of the greatest Polish symbolist painters, Weiss reflects in his works the decadent atmosphere of the epoch at the same time heralding the expressionist tendencies. 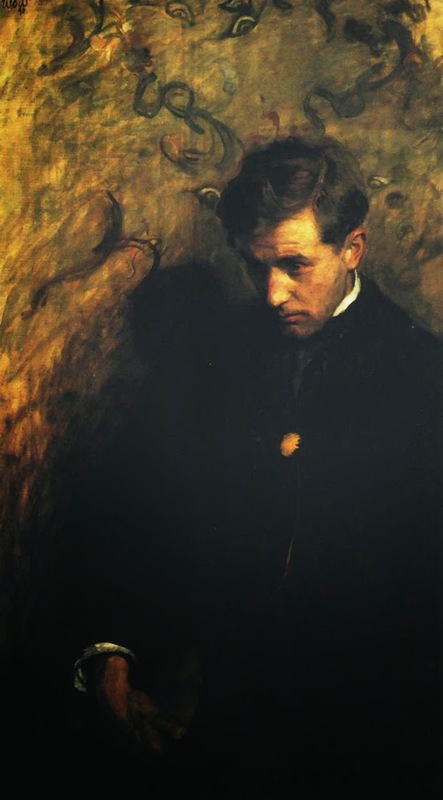 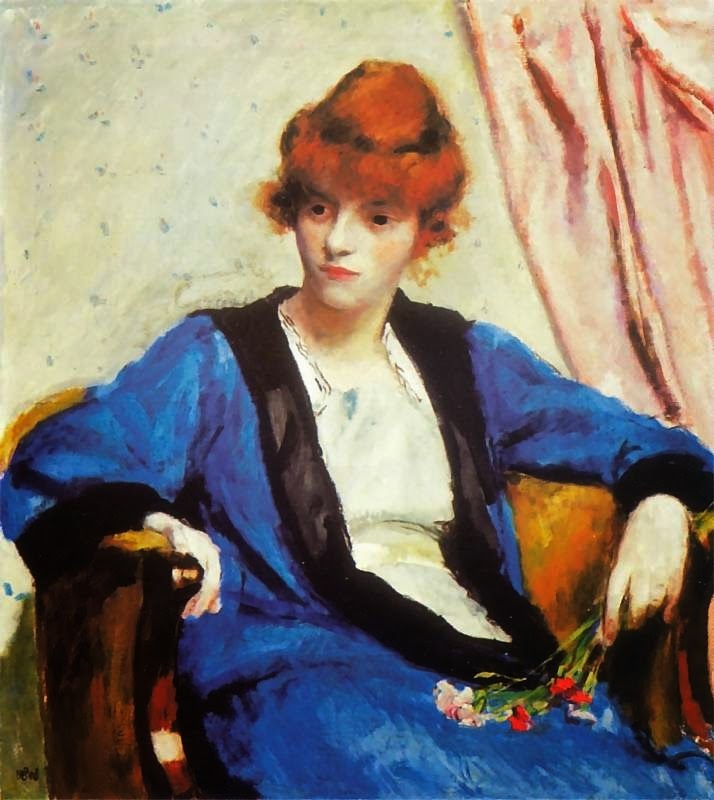 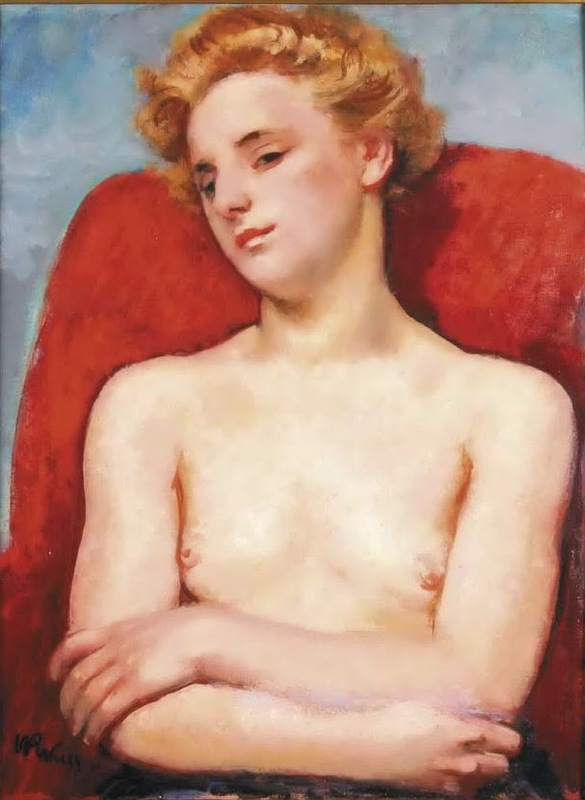 After 1905, he shifted towards colourism, displaying a special colour transformation in the ‘white period’ (1905-1912), only to be permeated with vivid colours and strong volume later on. 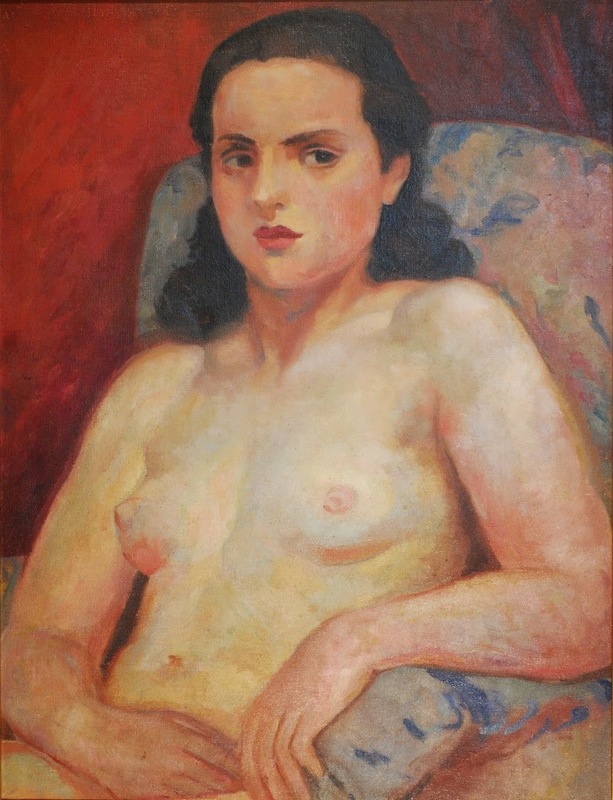 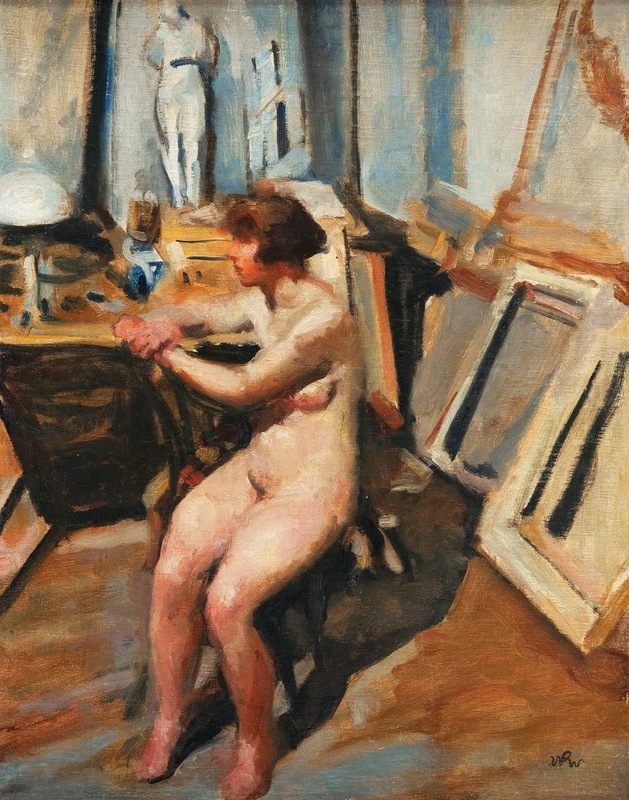 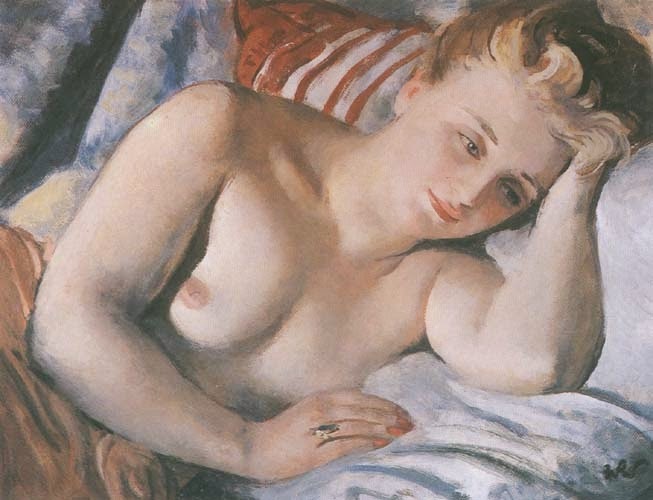 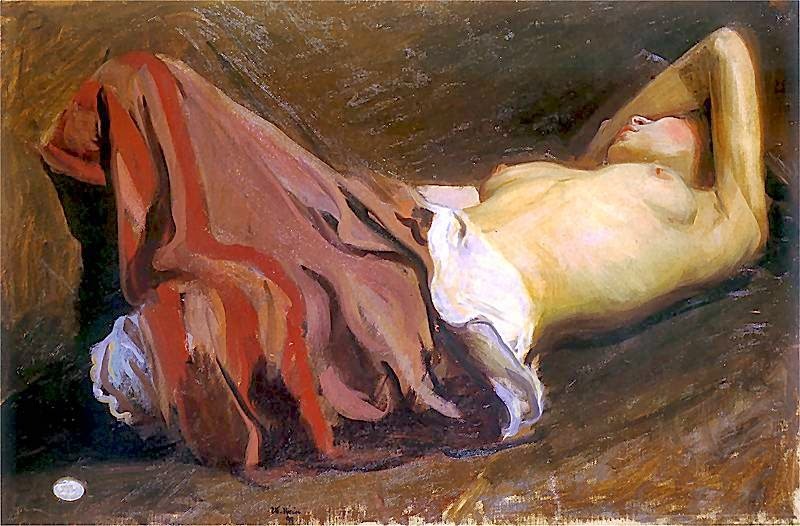 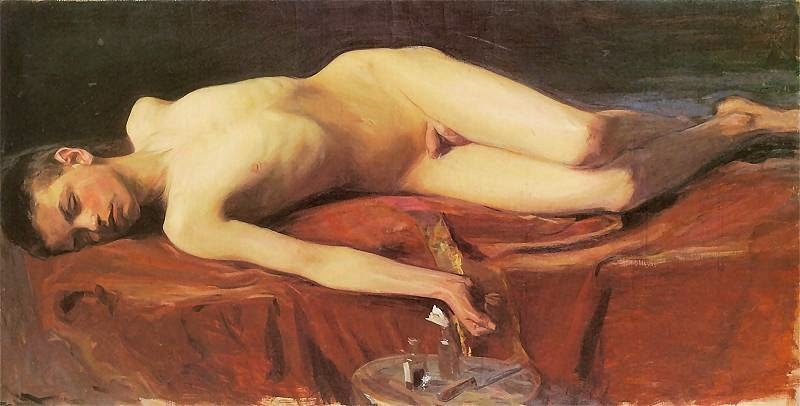 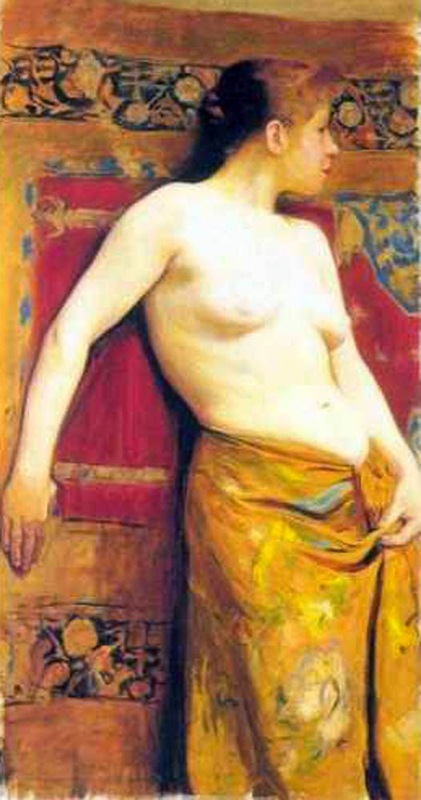 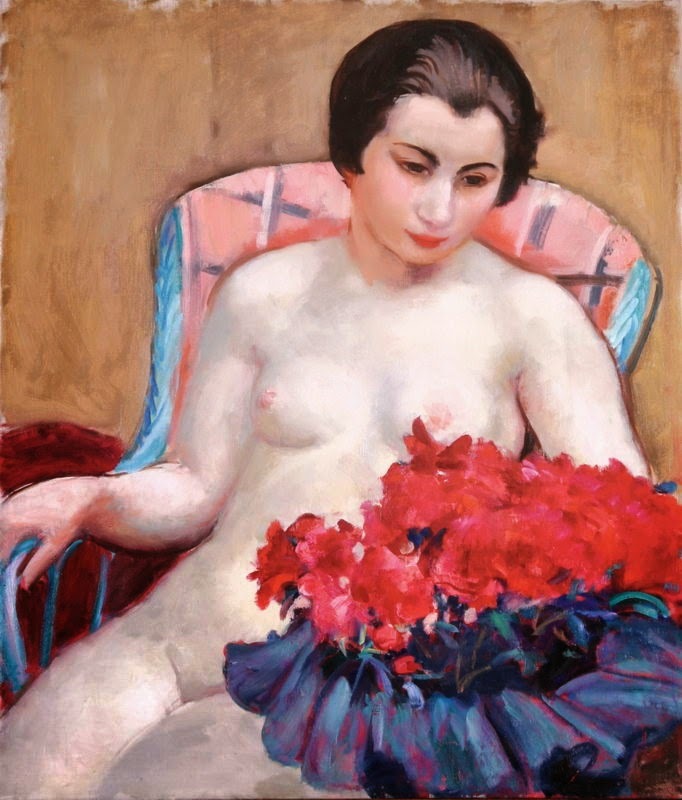 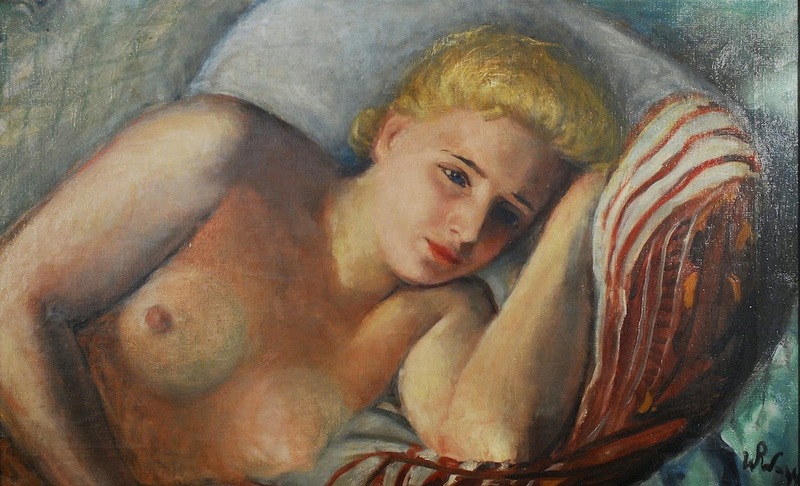 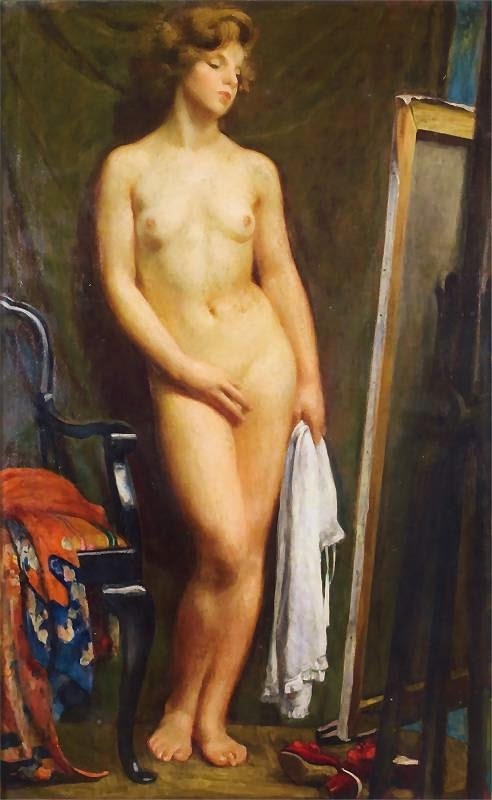 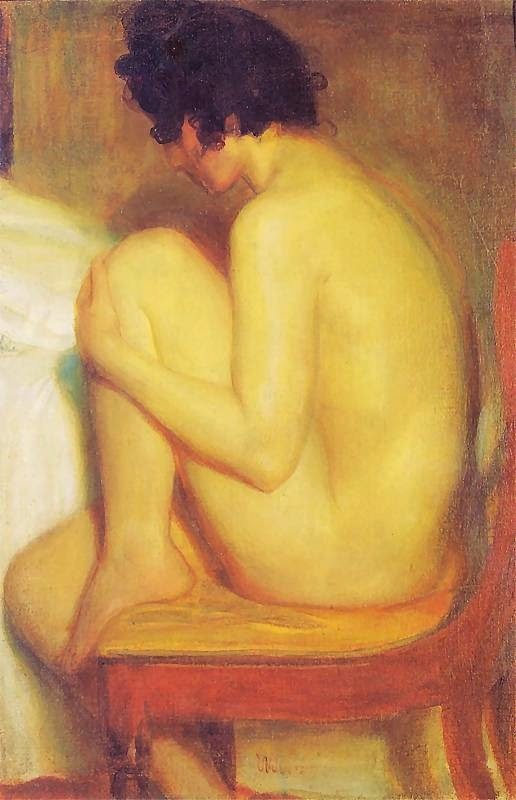 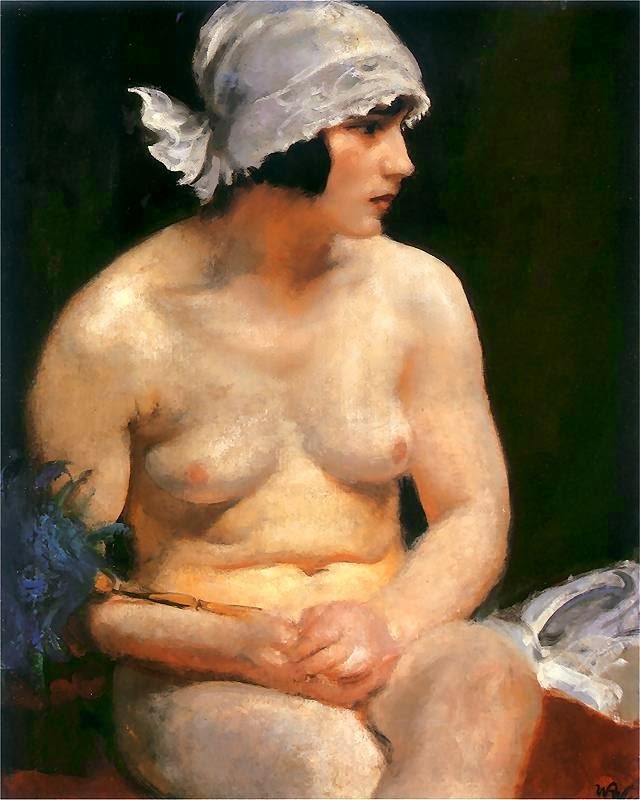 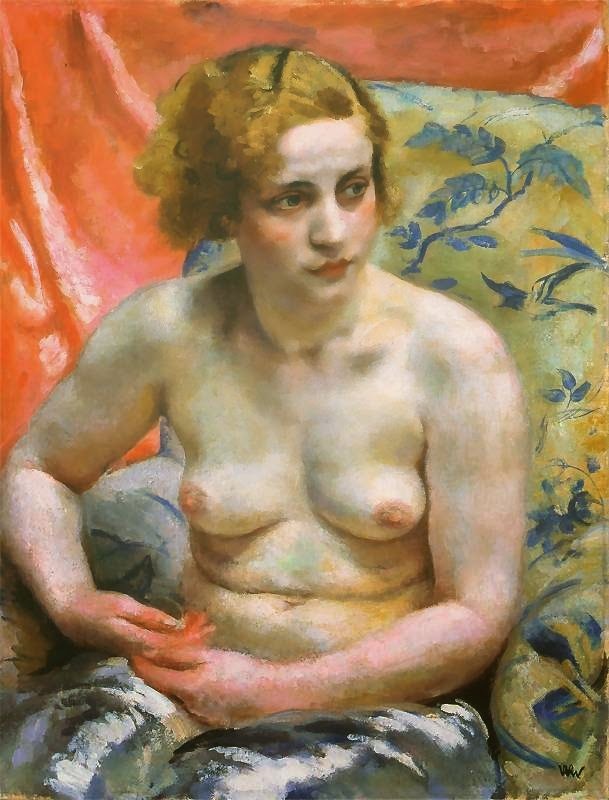 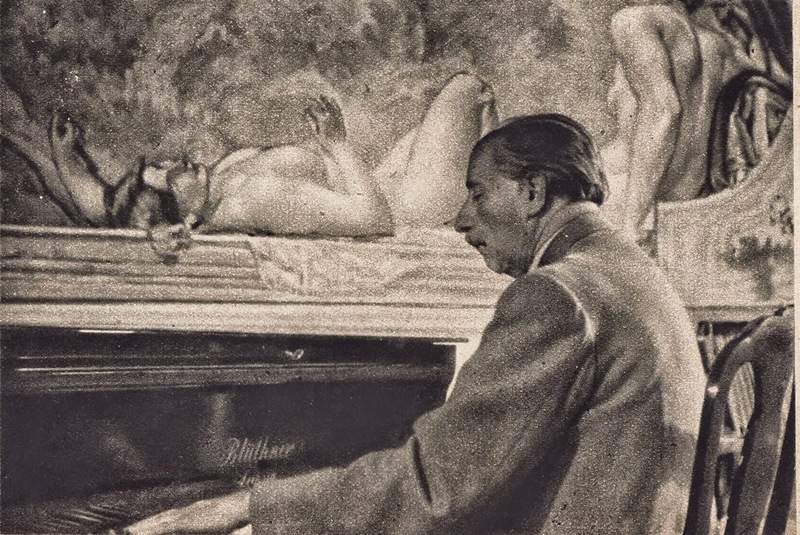 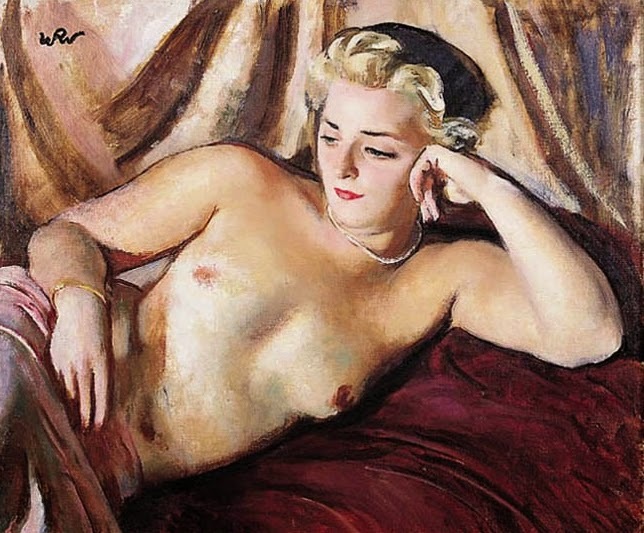 His paintings were dominated by landscapes and nudes. 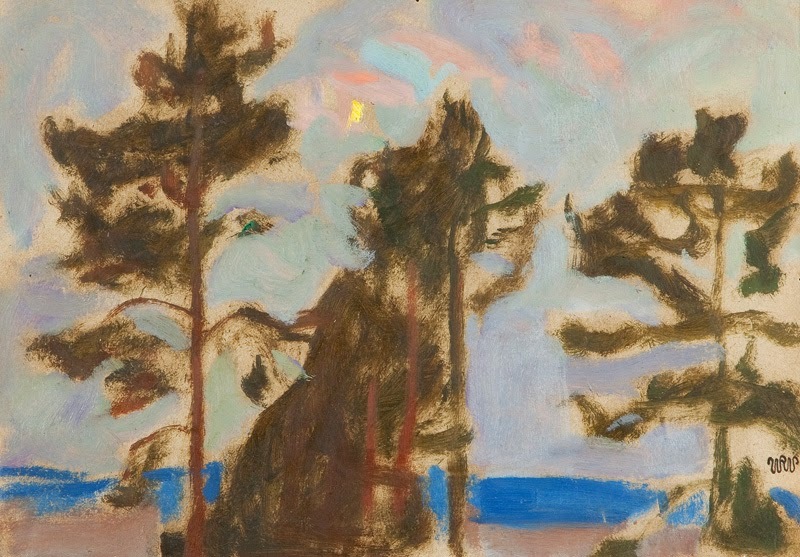 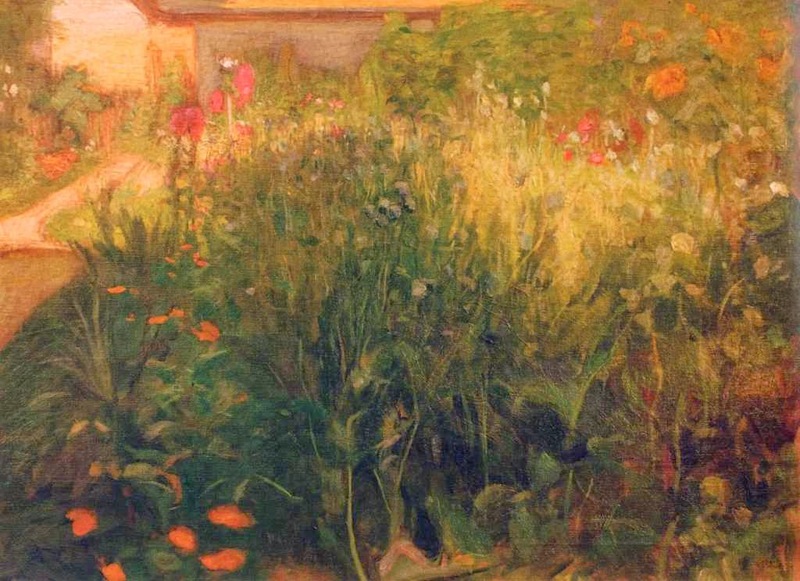 He also created large compositions, frequently intriguing the viewer with their hidden Symbolism. 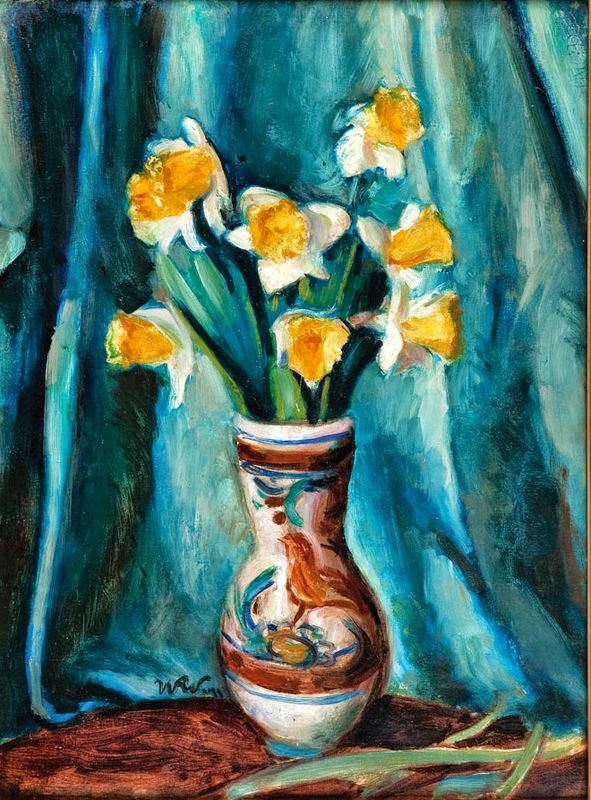 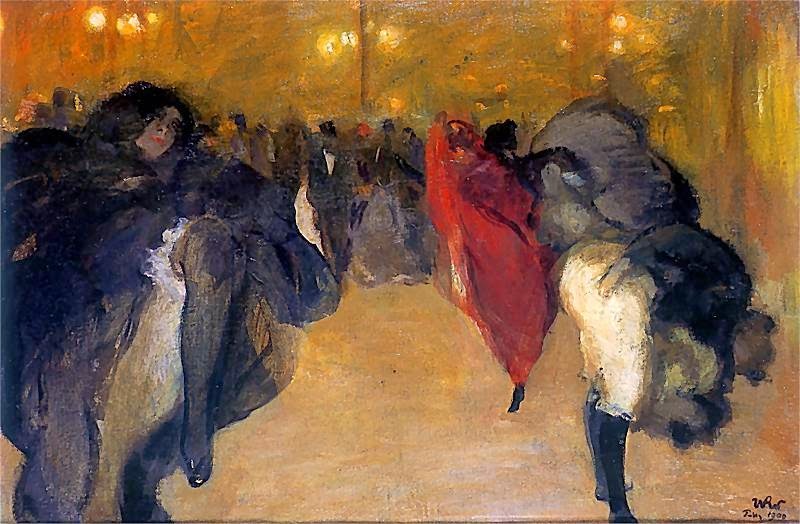 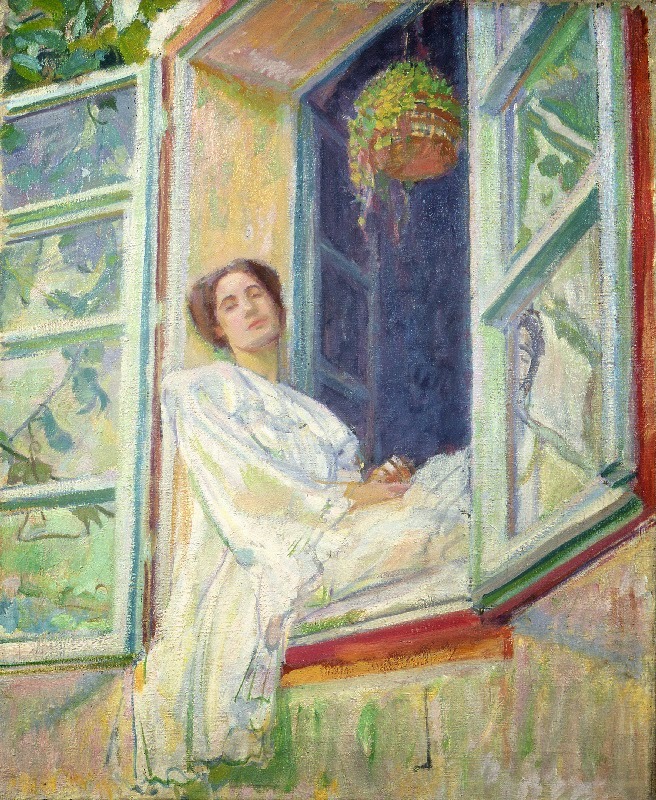 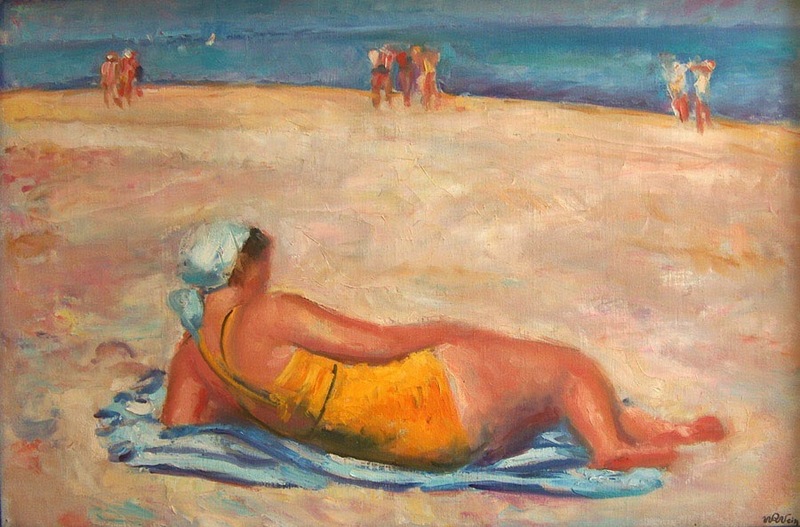 Weiss’ oeuvre significantly influenced young generation of Polish artists who became an avangarde. 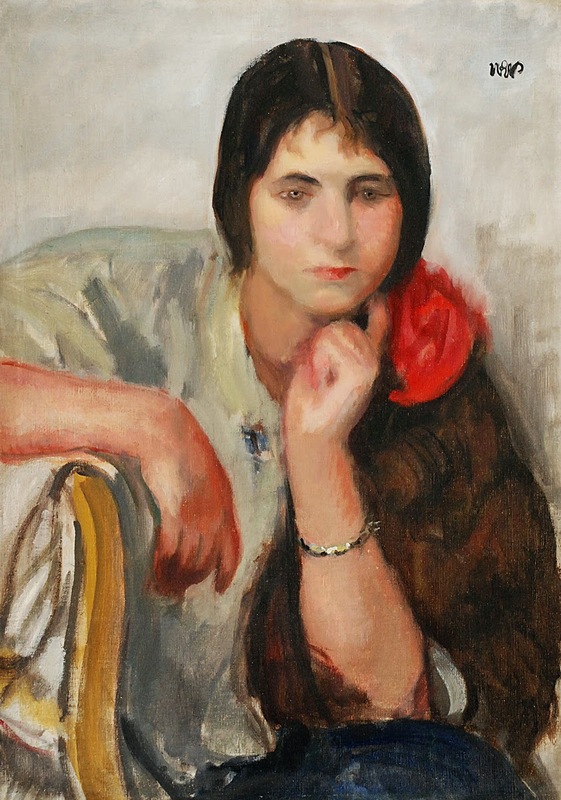 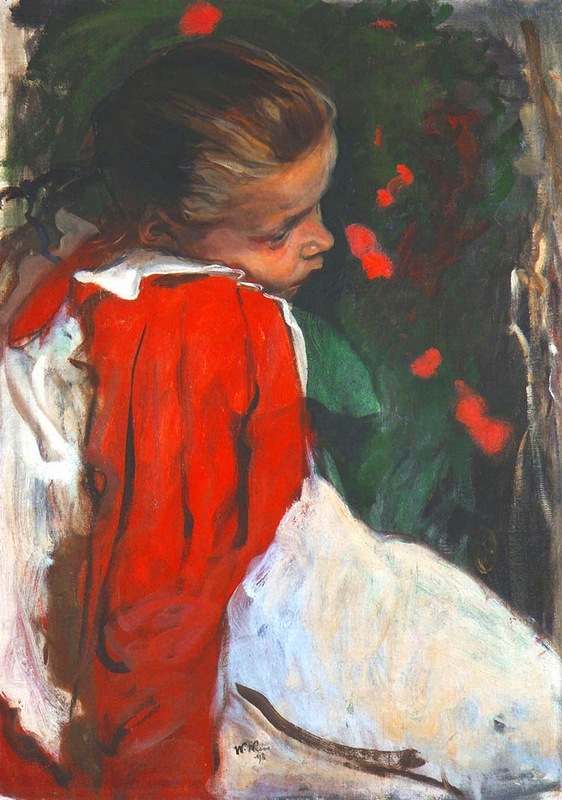 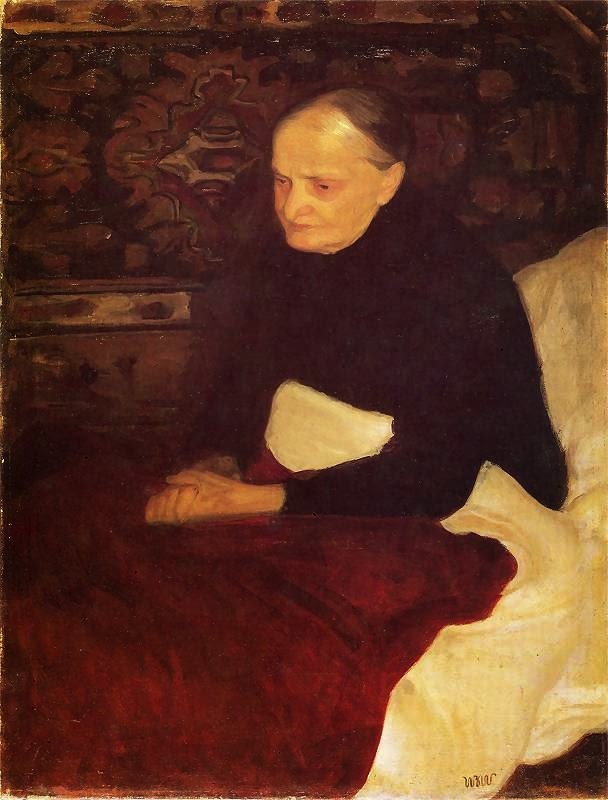 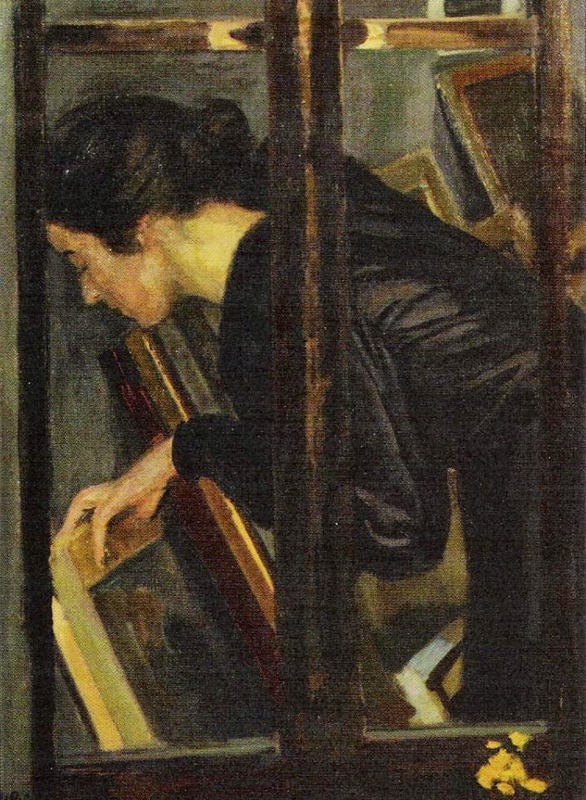 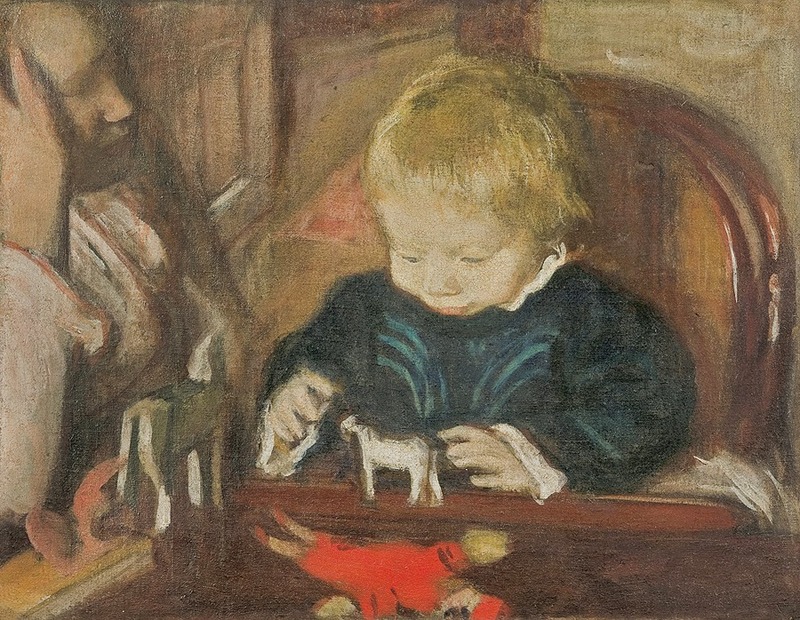 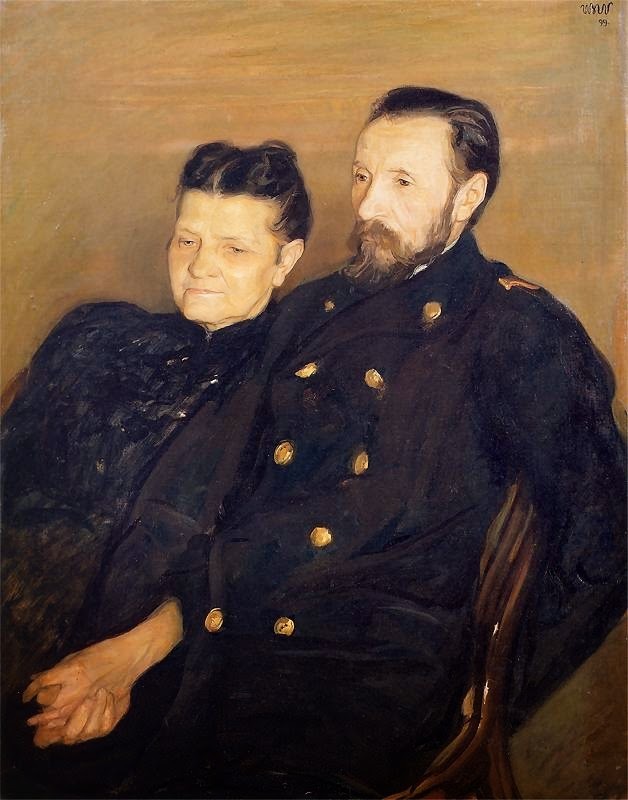 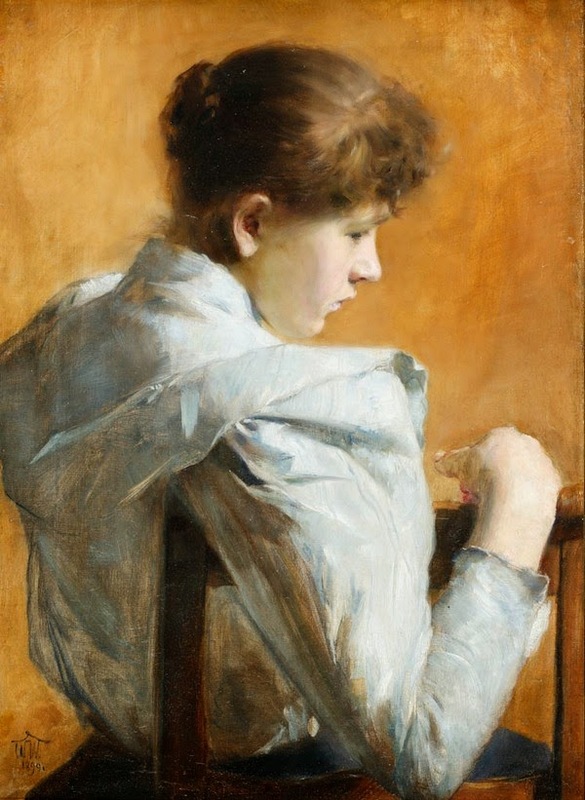 Apart from the Foundation, many of Weiss' paintings are among the collections of the National Museums in Cracow, Poznan and Warsaw. 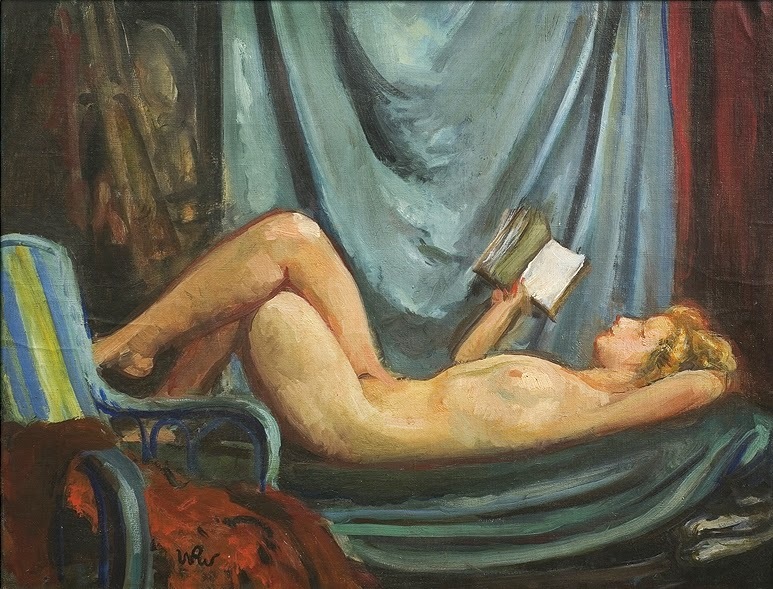 Wojciech Weiss (1875-1950) è stato un pittore e disegnatore Polacco, esponente della corrente artistica della Giovane Polonia. 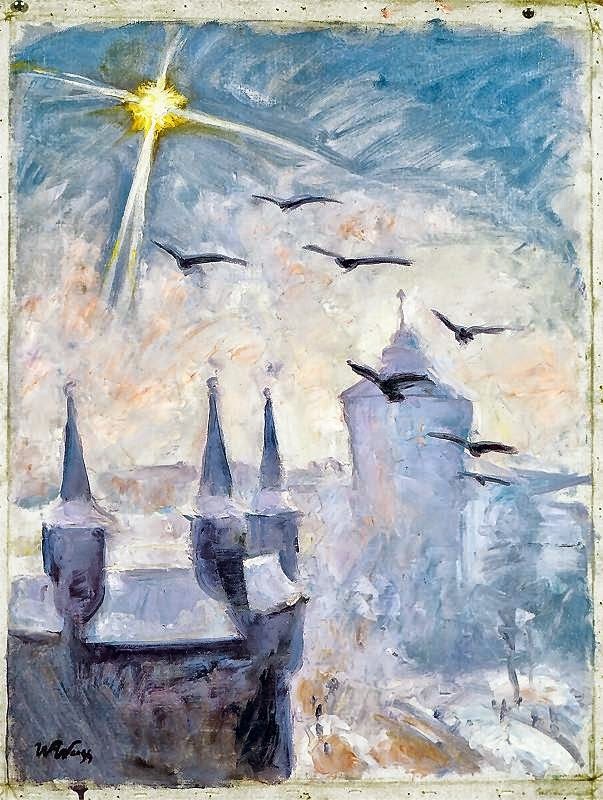 Nato in Bucovina (nell'attuale Romania) da una famiglia polacca in esilio, abbandonò presto gli studi musicali per potersi iscrivere all'Accademia di Belle Arti di Cracovia (della quale divenne in seguito professore e rettore) dove seguì gli insegnamenti di Leon Wyczółkowski. 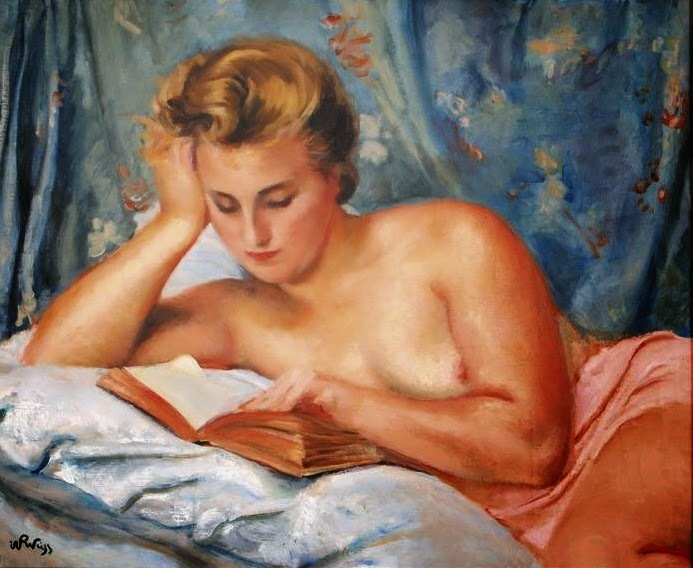 Completati gli studi viaggiò l'Europa per perfezionarsi, soggiornando a Roma, Firenze e Parigi. 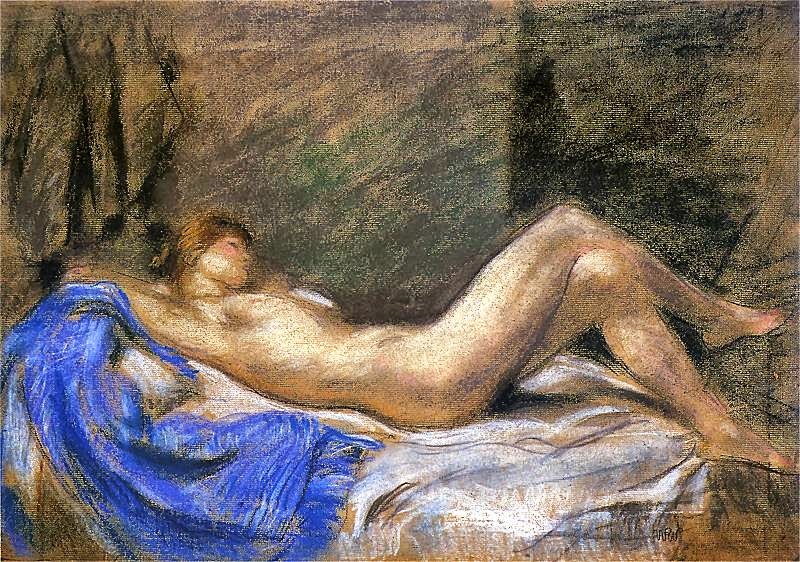 Nel suo percorso artistico ha abbracciato vari stili e correnti; dopo una parentesi espressionista, dal 1905 il suo interesse si è volto verso il Colorismo. 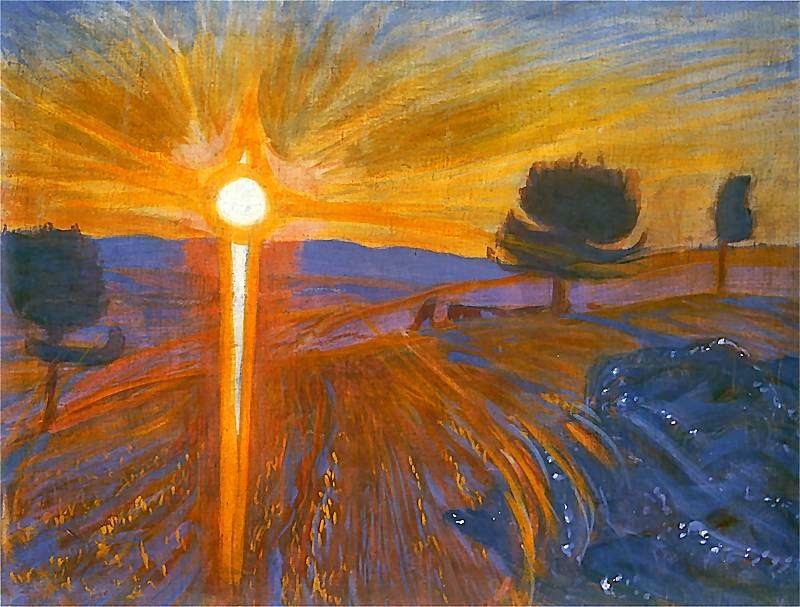 È in seguito diventato uno dei primi disegnatori di manifesti Art Nouveau in Polonia. 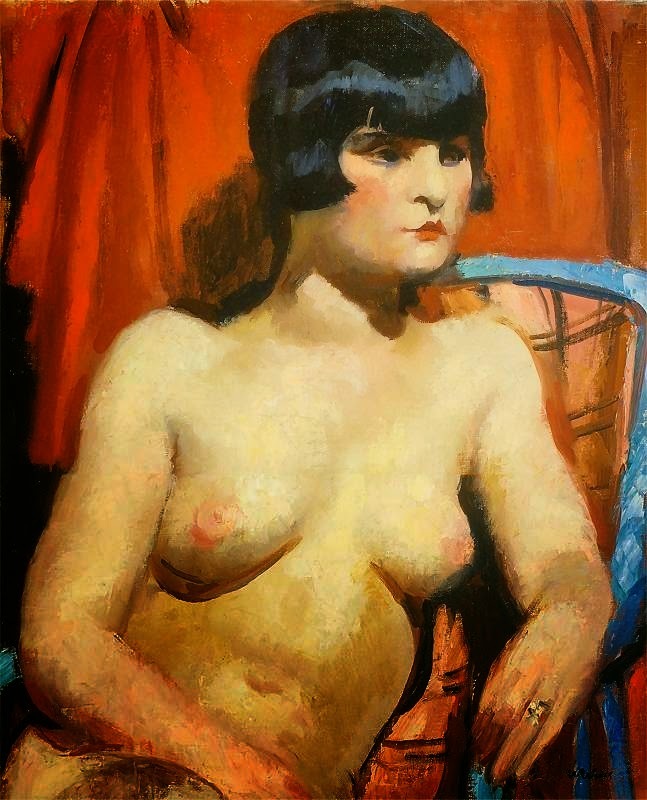 Weiss è morto nel 1950 a Cracovia; molte sue opere sono oggi esposte nei musei Nazionali di Poznań, Varsavia e Cracovia.